Conducting medical research in the field can take lots of improvising: equipment can fail, power is often a big question mark and weather can play havoc with your work. Still, there are those that see the whole world as a lab. 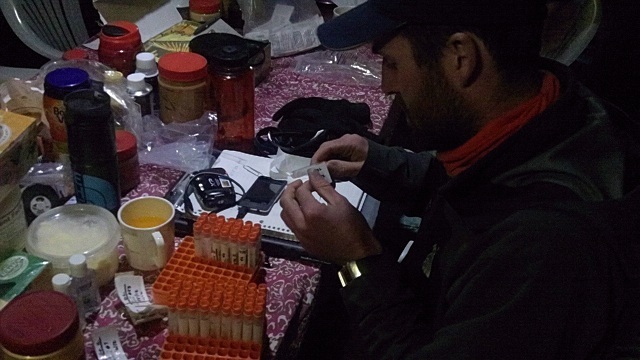 In the picture below, researcher Alex Kasak works with urine samples at the dinner table at base camp on Mount Everest. Think that's dedication? On the trek up he was doing the same thing on his bed.